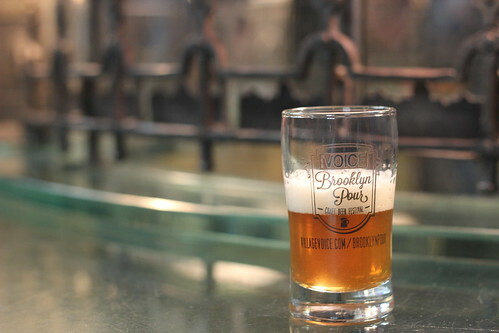 This past Saturday was the second annual, and my first, Brooklyn Pour, the beer-centric little brother to Choice Eats. 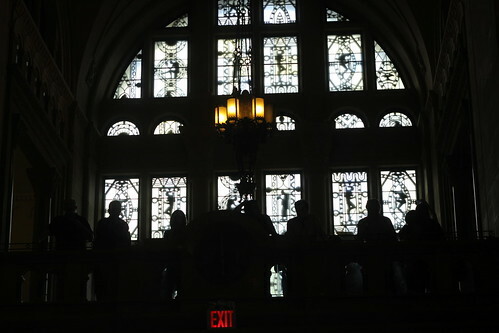 It all went down in One Hanson Place aka the bottom of the Williamsburg Savings Bank Tower. 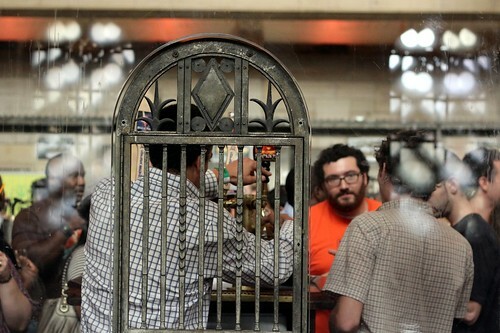 Sampling 100+ beers sounds like the best thing I could ever do on a Saturday afternoon. The lobby was completely filled with beer stands, from one end to the other. Plus there was beer downstairs, we're talking a lot of beer. But once I entered I needed food. Out back we went. I *really* wanted to try Stable House's lobster tacos, but they weren't ready to serve yet. So I went one table over to someone who was, Lucky 777 Chili. 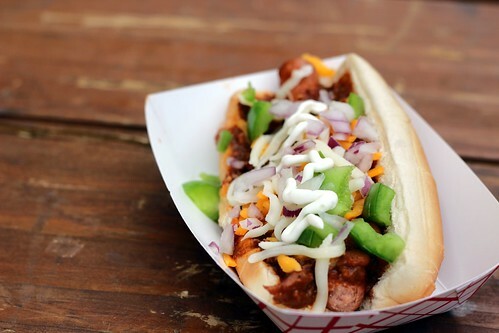 $4 and I had a chili dog with the works, the best thing I could ever eat before downing a bunch of beers. But I wasn't done. I could see the crowds coming in and I knew that once I started sampling, I wasn't going to be stopping for food. 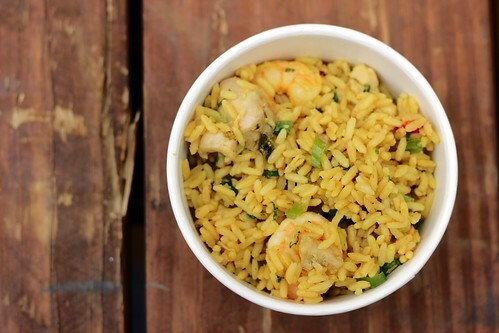 Donny picked us up a bowl of paella to munch on from Chez Lola. I debated a Nutella pretzel after this, but wanted to head back inside. One great thing about these sort of events is you can test the beers you never get around to buying for yourself. 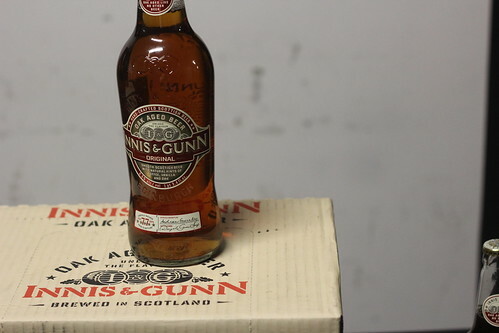 Take Innis & Gunn. I've seen it around, never having a chance to sample it. Now I know I won't ever be taking that chance to sample it. Sorry, Innis & Gunn. 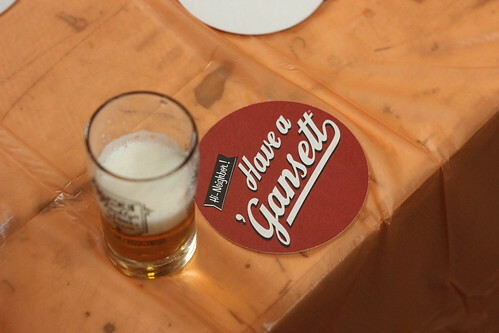 I quickly washed that out of my system by stopping by the Narragansett table. It holds such fond memories of hanging out at Rippers, eating burgers, rating the surfers. One thing I was introduced to that I liked was the Java Brew. 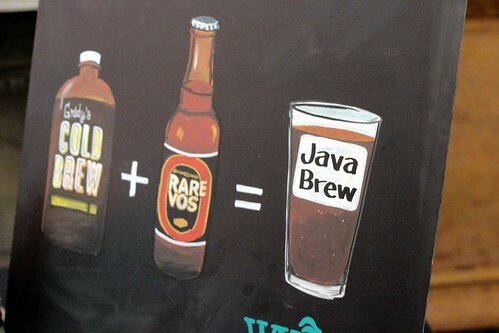 I'd never put coffee in my beer before, though it sounds like the perfect hair of the dog recipe. 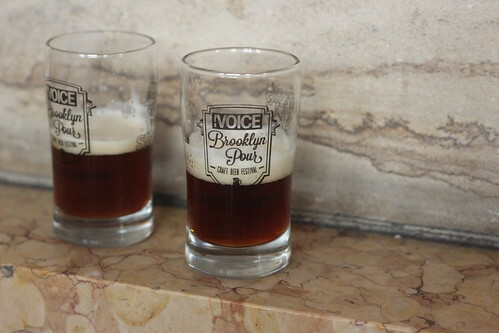 A near-pint of Rare Vos, a few ounces of Grady's Cold Brew, and you're set. Promise. It was hard to get a lot of pictures in since it was a bit packed and, well, everything would look the same. It's all beer. For those of you who don't know the history of the building, it pretty easy to figure out that the lobby used to be the bank. It leads itself to all sorts of cool scenes like this one. It would have been great if he could have handed me one through the grate. And then there was the VIP section. They got to look down at us hoi polloi. But all in all, this is an excellent way to spend an afternoon. There's beer! There's food! 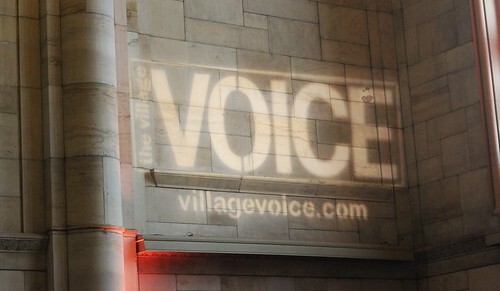 The Village Voice doesn't play around when it comes to their events!